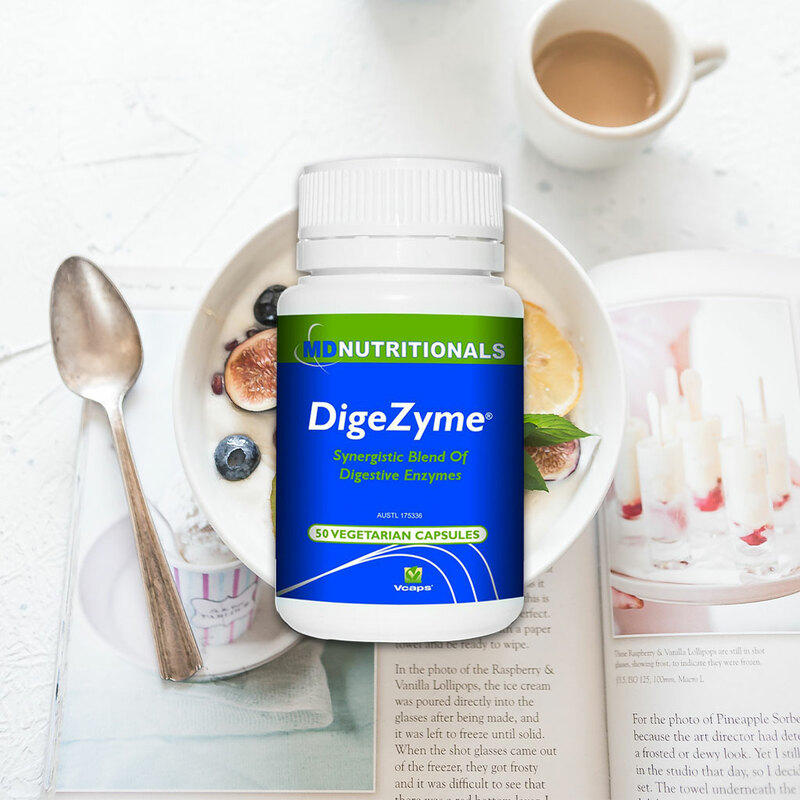 DigeZyme® is a proprietary preparation featuring a unique blend of five non-animal derived enzymes. This multienzyme complex may support digestive system health, maintain assimilation of nutrients to enhance general health and wellbeing and reduce symptoms of dyspepsia. Supplies amylase from Aspergillus oryzae to assist breakdown of starch, protease from Aspergilllus oryzae to assist breakdown of protein, lipase from Rhizopus oryzae to assist breakdown of dietary fat, cellulase from Trichoderma longibrachiatum to assist breakdown of cellulose plant fibre, and lactase from Aspergillus oryzae to assist breakdown of lactose, the sugar found in dairy foods. Oral supplementation of digestive enzymes may pose stability issues. However, certain plant and microbe derived enzymes are known to be stable under a broad pH and temperature range. Hence they are capable of acting throughout the digestive tract without being affected by gastric secretions. Assist breakdown of dietary fat. Aid digestion of lactose from dairy.